As part of shoti’s birthday celebration, we took a ferry from Hongkong to the mainland of Macau. 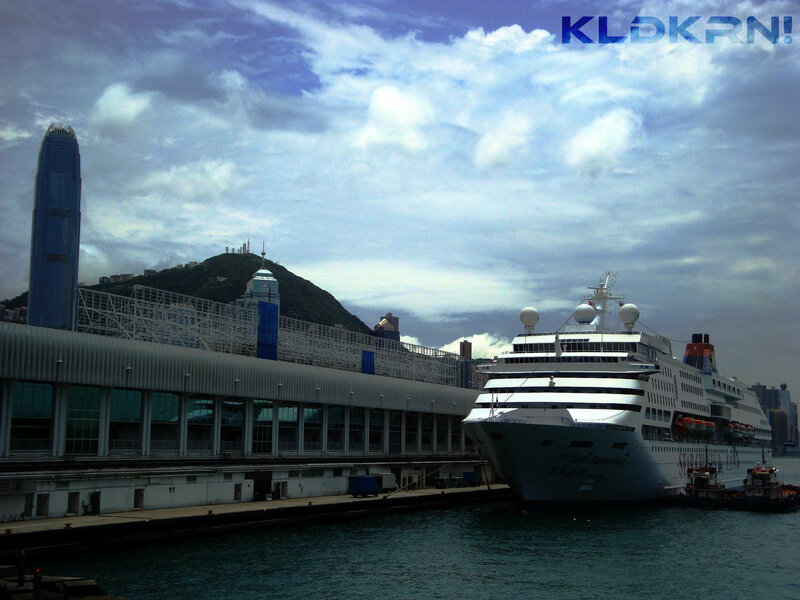 Ferries run from the (a) Shun Tak in Sheung Wan in Hong Kong Island and from the (b) China Ferry Terminal in Tsim Sha Tsui (TST) in Kowloon. From TST, ferries run every thirty minutes from 0700AM until 1200AM with travel time between 60-75 minutes depending on sea condition. For economy one-way ticket, prices range from HK$133 (around PhP700) to HK$175 (PhP900) depending on the scheduled day and time. We spent the day trailing the busy streets and hopped to different casinos via shuttle buses; take note that these buses offer free rides. It was actually my first time to enter a casino and tried my luck in the spinning wheel of fortune where you have a chance to win an item (don’t know if it’s the right term, not really a gambler =). It is worth to watch City of Dreams’ Dragon’s Treasure as it’ll take you to a ‘totally immersive 360 degrees multimedia journey’. You will be transported to another world as the four Dragon Kings explore the mysterious powers of the Dragon Pearl and introduce you to their magical kingdoms. https://www.cityofdreamsmacau.com/entertainment/dragon-treasures for show times and ticket information. Steps to the Ruins of St. Paul’s (Sao Paulo) Church Facade and made our way to the Senado Square. We concluded the trip by going to The Venetian Hotel, which was opened in 2007 with a distinctive inferior that resembles the beautiful city of Venice, Italy. I’ll definitely go back here in Macao as I have not yet fulfilled one of my things to do in my bucket list: Bungee Jump at Macau Tower (just waiting for time to heal). My first time to board the plane and travel abroad alone, but only up to Tsim Sha Tsui (TST) in Kowloon. From the HK International Airport, I searched for the bus terminal that will lead me to TST. Travel time took approximately an hour. I have been to Hongkong twice already and this second time around, I am with my family. Though HK is only a portion of the People’s Republic of China, there are still a lot of places to go to (from Disneyland, Ocean Park, Lantau, The Peak, Bell Tower, HK Island skyline, etc.) No wonder why most Filipinos visit this region apart from the fact that it is just a two-hour ride from Manila. I cannot anymore remember the details of this trip but the good thing is that I still have these photos with me.